We will contact you to confirm your appointment request. Refer us to your friends and family. 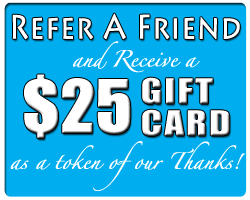 If they come in for an office visit, we will give you a $25 Gift Card.